This is my first post from London. As you all know by now, in a few days British Plus Size Fashion Weekend will start. 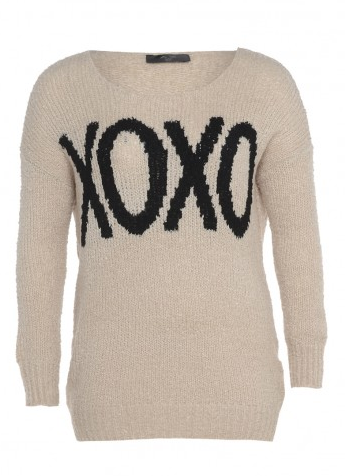 So I was happy to find this XOXO Knit Jumper from AX Paris Curve at my doorstep. This jumper has a perfect density to transition from winter to spring. I love the material, it doesn't feel itchy which is always my issue with knits. I received a size 20/22 and I'm surprised my sleeves fit properly. I'm 5"10, mostly sleeves end 3/4 on my arms. You can see in the pictures that the jumper fits quit snug. So I would advice to size up if you want a more looser fit. Okay, let's talk the price. It retails at £35 (€41) what is pretty normal for the plus size industry. For some reason the prices are always a little more higher than regular sizes. 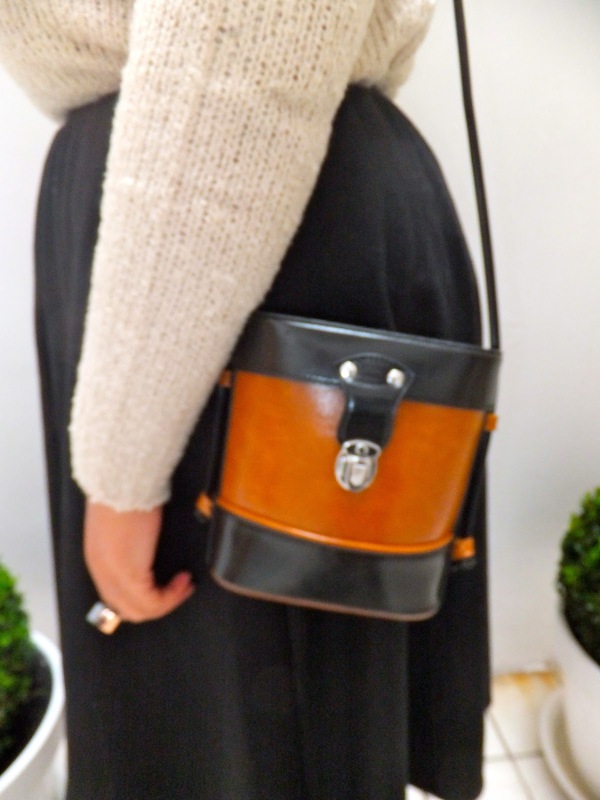 But what I do love is that AX Paris delivered the same style they produce for their regular range. We curvy, plus size gals want stylish clothes too, so big two thumbs up for that. Check the AX Paris Curve Collection and let me know what you think. Which pieces are your favorites? Have fun in London! You look great! Thnx! Zal ik zeker doen, altijd inspirerend Londen.